On the Maryland Psychiatric Society's listserv I recently heard about a newly available (in the US) SNRI, Savella (milnacipran). It came out for fibromyalgia earlier this year but is used for depression in other countries. First I heard it was available. Who knew? I flip through it and discover -- only because of the advertisements -- several other new drugs I am unaware of. Where have I been that I've not been clued in? Twitter #fail! So here are the other things. Fanapt (iloperidone) was approved, for treating schizophrenia. Vanda makes it. You can get 225mg of Effexor XR in a *single tablet*! But it's not "Effexor," it's actually a generic brand called Venlafaxine Extended Release (yes, that is the actual brand name). And it's a tablet, not a capsule. Made be Upstate Pharma. Who knew? There's also a new brand of bupropion (aka Wellbutrin) out there that puts an extended release formulation of the maximum dose (450mg) all in one pill. I heard about that one in an email from Sanofi, about this new formulation called Azplenzin (though you have to order 522mg to get 450mg). This one's so new, a Google search turns up only 3 hits. So, I'm just saying that the marketing works to get something new noticed. The more important part is doing the research to determine if it is something that may help you or your patient. This is pretty cool. Hopkins neuroscience researcher, Dr. Richard Huganir, and his postdoc, Da-Ting Lin, created a fancy microscope that allows one to easily visualize synaptic memory activity (specifically, insertion of AMPA receptors) as green flashes in the video. Find out more here. I'm working on a way to make this post about psychiatry. Sort of getting there. In today's NY Times Magazine, Peggy Orenstein notes in "The Way We Live Now--The Overextended Family," that she doesn't want to Skype videochat with her parents. Too much intrusion, there need to be some boundaries. Orenstein likes sending digital pictures, she doesn't like email. And somehow, she's aware that while she's not sure she wants to videochat with her folks, she recognizes that she might want to chat with her kids. To Skype or not to Skype, that is the question. But answering it invokes a larger conundrum: how to perform triage on the communication technologies that seem to multiply like Tribbles — instant messaging, texting, cellphones, softphones, iChat, Facebook, MySpace, Twitter; how to distinguish among those that will truly enhance intimacy, those that result in T.M.I. and those that, though pitching greater connectedness, in fact further disconnect us from the people we love. Video chat, while obviously cheaper, would seem to have the same skewed ratio: too much access, too little control. But that’s speaking from the standpoint of a daughter. My perspective shifts significantly — as it does on so many subjects — when I mull this one over as a mother. It’s one thing to consider how much about me my parents have a right to know; it’s another to contemplate how much about my daughter I have a right to know — or even want to know. I suppose the article caught my attention because I have a couple of those teenager people. One goes to college a half a country away, and when I suggested we videochat, I was told he doesn't do that. He'll email, he'll talk (actually, it's more grunting), and the most reliable form of communication is the text message, but he's not interested in IM-ing me, videochatting, or being my friend on Facebook. He doesn't follow me on twitter, and somehow I doubt he reads Shrink Rap. So the psychiatry tie in? Oh, Roy would feel no need to look for one. This time, I'll let it go. Please Don't Curse At the Shrink Rappers. We try to have fun with this, but we're 3 real live psychiatrists and we all take our work very seriously. Lately, we've been getting a lot of insulting and offense comments in response to our posts. We're fine with opinions that differ from ours-- but please, no obscenities. Good News: Bigger May Be Better! From the New York Times, an article that made my day: Excess Pounds, But Not Too Many, May Lead to Longer Life. The report, published online last week in the journal Obesity, found that overall, people who were overweight but not obese — defined as a body mass index of 25 to 29.9 — were actually less likely to die than people of normal weight, defined as a B.M.I. of 18.5 to 24.9. By contrast, people who were underweight, with a B.M.I. under 18.5, were more likely to die than those of average weight. Their risk of dying was 73 percent higher than that of normal weight people, while the risk of dying for those who were overweight was 17 percent lower than for people of normal weight. The finding adds to a simmering scientific controversy over the optimal weight for adults. In 2007, scientists at the Centers for Disease Control and Prevention and the National Cancer Institute reported that overweight adults were less likely than normal weight adults to die from a variety of diseases, including infections and lung disease. One of the things psychiatrists try to assess during the mental exam is judgment. Mostly we guess, be we're not bad guessers, and we usually can tell how someone's judgment is by listening to the stories they tell about their lives. FORT SMITH, Ark. 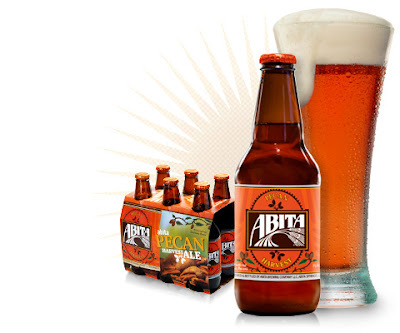 (AP) — A mother who drank 13 beers before a psychological evaluation failed to recover custody of her three young children despite claiming she wasn't drunk because she "can drink like a fish." The woman wanted to get the children back from her husband's stepmother. The Arkansas Court of Appeals rejected her Wednesday, citing addictions, frequent absences and criminal activity to support her habits. It said the woman made no meaningful efforts to restructure her life. The children are ages 6, 4 and 4. The state took custody in 2007 when the woman's mother said she could no longer care for the children. Human Services workers later won an order declaring the children's mother unfit and want to see the children adopted. When I was growing up, cigarettes were something people bought from vending machines. I've never been a smoker, but I want to say they cost about a dollar? I'm not so sure, and it's not something I pay much attention to. Today, I learned that a carton of cigarettes cost $75! $7.50 a pack, or 38 cents a cigarette. So someone who smokes 2 packs/day, pays about $450 a month. The funny thing is, I didn't know this because people never complain to me about the cost of cigarettes. They complain about the cost of medicines (this sometimes includes patients with medicaid who have a $1 co-pay for their meds), the cost of health insurance, and the cost of medical treatment. At times, I've suggested that patients with heavy habits cut down by one pack a month (so less than a cigarette a day) to be able to afford their medicines and I've been met with groans. Do I think cigarettes should cost this much? Yes. The health problems they cause and the cost they inflict on society is so huge, that I believe they should be heavily taxed-- and the monies should go to medical expenses incurred by smokers and research on how to better prevent addictions (my personal rant, added at no additional cost). But I think it speaks to power of their addiction that people are willing to put out this huge sum of money on cigarettes-- people who don't have it, people who really can't afford it, people who would go without necessary medical insurance or medical care, meals at nice restaurants, vacations, and many other things that $5,000 a year would buy. So why is this a Shrink Rap post? Patients with severe and persistent mental illnesses have higher rates of smoking than the population as a whole, and they also die a lot younger, often from cardiovascular disease. Check out this post on Psych Central. ClinkShrink was talking about how it annoys her when a patient says he hears voices, and with no other information, the nurse records a diagnosis of "schizophrenia." One of our readers said they would assume that a prisoner who reported he was hearing voices was seeking specific medications (presumably for reasons other than to stop the voices or directly treat the symptoms of schizophrenia). I read the comment and thought, "Wait, sometimes people hear voices because they have schizophrenia! You can't just assume he's drug-seeking for devious reasons!" Just as one can't assume that hearing voices is 1) an auditory hallucination (it's not if the voices are actually there and the result of real people talking, or if it only occurs in the time right before sleep) or 2) that the voices aren't the result of hallucinogenic drugs or alcohol withdrawal in a prison population, or 3) the result of another psychiatric illness as schizophrenia is not the only psychiatric disorder where people hear voices, well, we can't automatically assume that a patient who hears voices doesn't have schizophrenia! This is why we take a full history and observe patients over time. Okay, so I'm sitting with two friends in a restaurant and our waiter is really really skinny. Neither friend is a mental health professional, but we all notice the skinny waiter. One friend says "I wonder if he has anorexia?" The other friend immediately says, "Nah, he's just skinny." I said nothing, but I thought, "How do you know?" He could just be very slim, or he could have an illness (AIDS, cancer, TB, cocaine: they all cause weight loss), or he could have an eating disorder. Really, all we knew was that he was skinny, that he wore a colorful t-shirt, and that he brought us the right food. To figure out any more, about either his medical or psychological state, we'd have to ask questions that just weren't appropriate to the setting. Still, my friend was absolutely certain the waiter didn't have an eating disorder. Maybe it's human nature that we jump to conclusions, but people do it all the time. 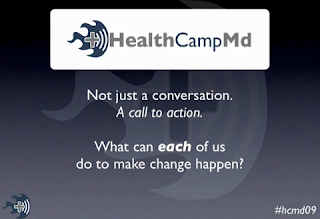 UPDATE Fri 11:22: Watch live streaming at http://ustream.tv (search for healthcampmd). I'll be leading a discussion on electronic health records and CCHIT at noon, along with Ji, who will be talking about smart devices feeding patient info back in their health records. 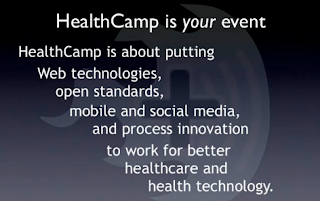 HealthCamp is one of these un-conferences (started as a barcamp by Mark Scrimshire) where a bunch of people get together to talk about a subject matter, but they don't figure out who is going to say what until they get there. The presenters are the audience. These all-day conferences are getting held all over the place, and Maryland's turn is on Friday, June 19, at Stevenson University, just north of Baltimore. I've not gone to one of these before, but I'm going tomorrow. I'll meet folks in person with whom I've only been emailing or twittering over the past few months. I'm thinking something good can come out of it, as there has been this groundswell of pent-up energy and enthusiasm behind the whole health care reform bandwagon. Yes, even a 'call to action', I guess. You can still attend in person for about 30 bucks. If you cannot attend but want to join in on the action, you can watch the live twittering going on by monitoring the hashtag, #hcmd09. There will probably also be some live streaming via Ustream and BlogTalkRadio. And I'm sure there'll be Flickr pics posted, too. If I find more links to these 2.0ish things, I'll post them here. So stay tuned. It's incredibly difficult to remove a psychiatric diagnosis. I've read quite a bit on the blog from readers about the trouble caused by an incorrect or premature diagnosis; I know what they say is true and I've seen it myself. What you may not know is that psychiatrists share the frustration about inaccurate or incorrect information in a medical record. Many years ago a patient of mine had to get admitted to a medical unit for a diagnostic procedure. She called me weeks later after getting a copy of her discharge summary because the medical resident wrote that she was a "psychiatric patient with a history of multiple admissions". In fact, she had only been admitted once, for depression. My patient wanted to know how to fix this incorrect and potentially very damaging information. That was the first time I ever had to deal with this problem so it took a little investigation, but after calling around I found out the only thing she could really do was write a letter to be included in her chart with the correct information. It also makes me crazy to get a discharge summary from a hospital that lists a discharge diagnosis---particularly one that involves a psychotic spectrum illness---with no data to support the diagnosis. Intake nurse to newly arrived prisoner: "Do you have any mental problems?" Nurse writes "schizophrenia" on the problem list and fills out a referral to the psychiatrist. I see the guy. Clink: "Have you ever been in a psychiatric hospital on the outside?" Clink: "Have you ever seen a psychiatrist or taken psychiatric medication?" Clink: "The referral says you've been treated for schizophrenia. Can you tell me about that?" Inmate: "I hear voices. I have schizophrenia." After a multitude of questions I figure out this is another inmate self-diagnosis. I clearly document that he does NOT have a psychiatric condition. Then he gets released, re-arrested and convicted, re-sentenced and comes back to my building six months later. His medical problem list still documents "schizophrenia". No one has bothered reading my note. At times I've resorted to writing directly on the problem list: "This patient does NOT have schizophrenia." That seems to help. I'm careful about how I document my diagnostic thinking. If I'm not sure about a condition, I don't diagnose it. If I'm about 75% sure but not positive, I write that I'm considering a diagnosis but not making it and then I document why I'm not making the diagnosis yet. If I disagree with someone else's diagnosis I explicitly write out the differences in the data that I'm relying on and how I'm interpreting that data. Doctors don't have to agree with one another and our diagnostic criteria are certainly not absolute, but it helps to know how people are thinking. The political theme of the moment is health care reform. I thought I'd link to Atul Gawande's article in the The New Yorker, " The Cost Conundrum." Gawande visits McAllen, Texas, a town where health care costs have escalated to twice the national average (per Medicare) for unclear reasons. He asks questions and hunts for answers, and he compares the medical system there to other systems, including that of the Mayo Clinic where care seems to flow in a more patient-centered, less economically-driven way. The use of social media (eg, blogs, Twitter, Facebook, Youtube, LinkedIn, etc) by doctors and other health care providers is rapidly increasing, just as it is for really everyone else. The New York Times did a story recently on doctors who twitter. For the past couple months or so, I have been participating in a weekly twitter chat on the subject of health care (hc) and social media (sm), called #hcsm. A bunch of folks involved at various levels in health care talk about, well, lots of stuff. Last night, two health attorneys (Daniel Goldman & David Harlow) talked about various topics, such as whether docs should follow or friend their patients, whether tweets are copyrightable (mostly not), and what hospitals can do about negative comments about them in social media venues. If you'd like to read a sampling of the conversation, go to HITshrink (guess who). There is better coverage of what is happening in Iran on Twitter than there is on mainstream news. 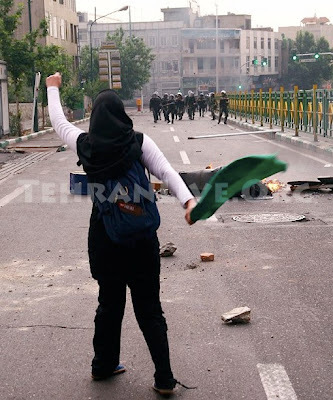 Check out tweets from change_for_iran for on-the-ground reporting. for up-to-the-minute tweets about this pro-democracy uprising. Pretty amazing to see protests like this in a country that is so regressive. Change is in the air. 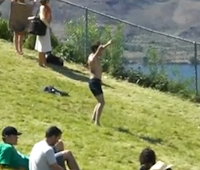 Oh, on another note, I really enjoyed watching this lone dancing dude catalyze a huge dance thing. Worth watching all the way through. Shows the power that one individual can have to affect change. From The New York Times Well Blog: When your doctor Twitters ! Or better yet, that blog post references an article by Pauline Chen called Medicine in the Age of Twitter. It talks about social media and doctoring. I think we're all a little hesitant here. I started a listserv among psychiatrists I know recently, and it's slow going. 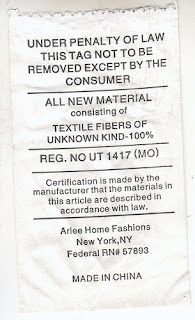 People have asked if they can be sued. And blogging, well, you know only a handful of us are doing that. So I liked the New York Times reference pieces. And thank you all for the kind feedback on Shrink Rap and You! And My Three Shrinks will be back, though probably not for a while. This is our 1036th post. I want to ask you a question: Has Shrink Rap changed your attitudes? Why do I ask? Well, you know we've been here writing about psychiatry and ducks and chocolate and rock climbing and technology for a while (follow Roy on Twitter ....oh, and I've gotten very good on an iTouch game called Fireball). We're thinking about the book we're writing and thinking about ways to keep Shrink Rap and the assort Shrink Rap-related activities fresh. I'm thinking about why we do this and what impact it's had, if any. ClinkShrink likes educating people about her important work with inmates and about how psychiatry and legal matters intersect. Roy likes fiddling with technology and talking about medications and we all like the idea of decreasing stigma and making psychiatric issues more understandable and accessible. I like trying to put what happens in psychotherapy into words, and this is hard. It's really hard, and I don't know that I do so well at it. So how are we doing and how has this helped or hurt? I think we've talked about it before, but Shrink Rap has changed my life. I love blogging. I like the writing. I like the discussions. I like thinking about things to blog about during my day. I like the interactions I have with readers and the friendship I have with Clink & Roy. I like chatting with Fat Doctor on Facebook. I'm not so taken with Twitter, but I'm still kind of feeling it out. I like podcasting, mostly for the chili, but hummus is good and cake is great. If Oprah picks up our book, I'm going on a diet before we're on the show. And Shrink Rap has been teaching me a lot, too. I've gotten insights into patient's thoughts and concerns that never come out in therapy. Many of them have been very encouraging, and sometimes they confirm what I already thought. Some of them have been jarring-- I've learned a lot about how angry people can be with psychiatrists and how trapped they sometimes feel: with therapists they don't like, with illnesses they feel their doctors should have been more powerfully able to heal. I've learned, too, that some patients/readers/commenters have very high, and even unrealistic, expectations of their psychiatrists. I love reading comments, but sometimes I'm surprised when I find myself feeling quite defensive, or thinking about something a reader said for a long time. Sometimes I wonder if we, as bloggers, have become a place for people to vent their anger towards their own psychiatrists. And sometimes I'm shocked to read about things people say happens with their own psychiatrists. At some point, I imagine the three of us will want to talk about the role technology takes in psychiatry-- about education and stigma, and anything else that pops to mind for blogging/podcasting/twittering/book-writing shrinks. It might be helpful if we knew how we impacted you, in good ways and bad, and if you're getting anything out of this endeavor. Might you click on "post a comment" and tell us? Victor sent a link to me from the NY Times: Therapists Wired to Write by Sarah Kershaw. They have also used the group as a safe cocoon to vet and write unpublished prose, a dissertation, writings on traumatized Iraqi war veterans and now a book on running a writing group for psychoanalysts. The stuff of therapy is not only a lot stranger than fiction but also contains the ever-unfolding narrative of life, with its pain and pathos, feats and failures. That is some rich material for a writer. So a few things. Does Ms. Kershaw want to do an article on 3 blogging/podcasting/twittering psychiatrists who like to eat together-- perhaps to coincide with the publication of their book on psychiatry? But I'm going to tell you, as much as I enjoyed the article, what struck me even more were the comments people wrote in. The commenters expressed nothing short of outrage: psychotherapists shouldn't write, they may be manipulating their patients to get more interesting stories. One psychologist wrote in saying it's a very bad idea and impossible to be both a therapist and creative writer. I'm not sure if the outrage is at the idea that therapists are writing; I have the sense that it's more about the acknowledgement that patient stories are used. Someone does write in in defense of doing this, and cites the work of Oliver Sacks and Irvin Yalom who tell stories about their patients. We've talked about this at length on Shrink Rap (See: The Blogging Psychiatrist). Generally we shy away from writing about our patients, and when we do, we disguise them and alter the stories-- leaving the message or the flavor. Education is important, as is demystifying and destigmatizing mental illness, and the only way this can be done is to talk somewhere about patients and what has happened to them. As fodder for novels? Well then only with disguise or distance, but no where is it said that when one signs on to be a psychotherapist there is the promise to never write creatively, to never climb rocks (--if you fall and get killed, this is not good for your patients), or to confine your activities or interests so long as they fall within the bounds of the law and certain stated ethical realms. Mental health issues permeate the media and entertainment-- it's harder to find a movie with no psychiatric themes these days -- even Jack Bauer has an addiction problem in one season. I don't know what happens in this particular group-- Maybe they'll invited me to visit? I'd love to come. I do, however, believe that one can be both a therapist and a creative writer. I don't write fiction about my patients; I don't offer this piece of my life to them any more than I discuss my religious or political beliefs, but it is a part of me. Oh, not really, I'm almost never at a loss for words. But this is the thing: For three years now I go through my days and when I see or hear something interesting, I think "I'm going to blog about that!" or....I think, "Oh, I wish I could blog about that" but I can't because it would reveal something about a patient. And I'm twittering now. Half-heartedly. Roy's been asking me to follow him, so I started. Actually, I'm a total failure. Someone has Un-followed me for being snarky about Twitter. I don't really get it, and being limited to 140 characters is my idea of suffocation. Plus, it's not like a blog were everyone has access to the same info: I twitter about someone's tweet and then realize he doesn't follow me, I just follow him. Or someone else responds to a tweet I never read. And there's really not so much to say in short bursts. But during dinner last night, we had a lengthy discussion on cremation and the interesting disposal of ashes (one friend helped scatter his uncle on the 14th hole where uncle had gotten 3 holes in one!) and I twittered that the temperature used for cremation is 3,500 degrees, per ClinkShrink. Why does she know all these random things. My brain needs more coffee. I work with Medco's PR department and I'm happy to provide you a link to the tamoxifen/ssri study details. Yesterday's new included an article on how certain ssri's decrease the efficacy of tamoxifen in preventing recurrence of breast cancer. Tumors were more than twice as likely to return after two years in women taking the antidepressants while on the cancer drug, compared with those taking tamoxifen alone, the study showed. The research, by Medco Health Solutions Inc., was presented today at a meeting of the American Society of Clinical Oncology in Orlando. Doctors began treating hot flashes with antidepressants, an unapproved use, after a U.S. study seven years ago linked the former standard remedy, hormone replacement therapy, to an increased risk of breast cancer and heart attacks. Other types of antidepressants, such as Wyeth’s Effexor, may be safer for women on tamoxifen than Paxil or Prozac, said Powel Brown, director of cancer prevention at the Lester and Sue Smith Breast Cancer Center at Baylor College of Medicine in Houston. In a study of 80 tamoxifen patients, the research team found that women homozygous or heterozygous for CYP2D6 variant alleles had a statistically significant decrease in plasma levels of tamoxifen and its active metabolites after four months of treatment, as compared to women homozygous for CYP2D6 wild-type alleles. I'm left with more questions then answers. I looked for the Medco study on-line, but didn't find it. Recommend An App To A Newbie! I can't even turn it on. Want to recommend an app?